As one of my friends on Facebook put it: “Rihanna needs to sit down and have a talk with Tina Turner.” I can’t say that I necessarily disagree. The idea that a woman would choose to invite her abuser back again to play a role in her life after having broken free from his abuse is seemingly unfathomable to many people, men and women alike. What seems ungenerous in many of the criticisms of Rihanna circulating around this decision is that she isn’t the first woman to make such a choice, and sadly, won’t be the last. The cycle of co-dependency isn’t one that is neatly broken, not even by the act of the dissolution of the relationship, which is “getting away” only in terms of physical proximity. I can say to myself that I would never make such an obviously silly choice, but then, it’s only “obviously silly” to me because I’m not in that situation. 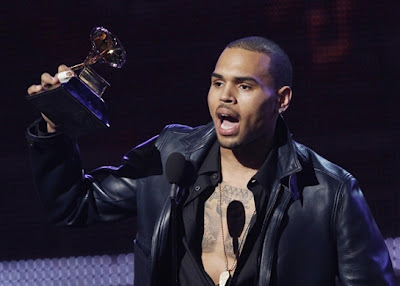 However, what I do know of Rihanna’s situation, and why I feel that her decision is more complicated than people assume that it is, is this: much of the rest of the world seems to have forgiven Chris Brown his trespasses, if they ever held him accountable in the first place. So why is it the sole responsibility of Rihanna to withhold her forgiveness and force his accountability? Why should she be any more forceful than a legal system that apparently felt that his domestic violence merited no jail time? Or a fan base that apparently feels his talent far outweighs a little thing like beating his girlfriend? Yes, she is his victim. Yet she is no less his victim than she is the victim of a society who so cavalierly and quite systematically ignores, dismisses, and erases the violence enacted by the day, the hour, the minute against black girls and women. Chris Brown violated her. But she has since been continually violated ideologically and discursively by an excessively self-centered consumer public who has never demonstrated a sustained outrage against Chris Brown long enough to stop buying his albums, but has enough outrage to go around for Rihanna that she would ever choose to collaborate with him. This latest flap over Rihanna and Chris Brown comes on the heels of the furious flurry of ever more outrageous manifestations of a problematic performative black masculinity that anchors itself in the unapologetic denigration of, and dominance over women generally, and black women in particular. Let me say upfront that this critique is not a new one. The on-going critical narrative around the misogyny and homophobia of, for example, the singular arena of hip hop is, on its own, a media and scholarly cottage industry, and not without good reason. But my interest here is not necessarily to rehash this well-trodden and well-deserved critique of commodifiable black masculinity. My interest is in thinking critically about the relationship between the discursive moves within media culture that work to serve consumerist desires while ideologically and materially sacrificing the safety and subjectivity of black women. His apology, which he tweeted, stated that while in “$hort mode” he “had a lapse of judgment,” and that’s “not how I get down.” So under this logic, Todd Shaw didn’t encourage such a vile crime. Too $hort did. And following the logic further, Too $hort is merely a commodified persona who isn’t real, ergo no one is responsible for telling young black men how to “take it to the hole.” This farcical defense, along with XXL’s equally ludicrous attempts at deniability (both of which have been sharply analyzed by various scholars and cultural critics including here and here) illustrate not only the discursive distance the guilty parties are trying to construct for themselves, but also the discursive distance they are providing to consumers who themselves want to remain blameless when they play “Blow the Whistle” on their iPods or read about their favorite hip hop stars in XXL. Similarly, the rhetorical refrain of “I’d let Chris Brown beat me anytime” that was tweeted with enthusiasm and shocking frequency by a chorus of Brown fans during his Grammy performance, would likely be copped to as “just a joke” if the female fans were questioned about it. Their use of his violent tendencies as articulations of their adoration is risk-free for most of them in that: 1) it is highly unlikely they will ever have an interaction with Brown, especially one long enough to open a space for violence to occur, and 2) if Chris Brown were ever to beat them, even with their weakly informed consent, the fact of their race, (again, the tweeters were disproportionately white women), would likely mean that the social value place on them (versus the social devaluing of black women) would translate into harsh sociocultural and legal punishment for Brown, neither of which he has faced after his assault on Rihanna. In both instances female consumers fail to understand that the undervaluing, disrespect, and violence against these kinds of spectacular femininities, especially spectacular femininities of color, be they the imagined stereotyped representations of women that flood pop and media culture, or the equally ethereal “celebrity womanhood,” is directly linked to their own undervalued gender location in society. That is to say that those rappers are, in fact, talking about you, and that Chris Brown could, in fact, beat you, even without your permission…especially without your permission. We have created a consumer-based society that implicitly, and sometimes explicitly, codifies violence against women generally, and black women specifically, because it successfully separates material experiences from commodified images and performances of those experiences through deliberate discursive maneuvers meant to convince us that the two things can actually exist exclusive of one another; in other words, that a society’s popular culture can operate in isolation from the society in which it is created. The flawed logic in this proposition is blatant, yet we buy it, literally, again and again. Consumers require these discursive narratives to absolve their consumption practices and to keep their own sociocultural subjectivities in tact, if only in their own minds. Accordingly, we can think of the racialized version of this theory as “black girling” or “black boying” where “the complex” racial “historicity,” as it intersects with the gendered historicity, “is indissociable from relations of” a particularly racialized “discipline, regulation, and punishment.” Through these racially particular reiterations of hegemonic norms, black girls and women are compelled to perform a sexual subjectivity of disposability, while black boys and black men are compelled to perform a sexual subjectivity of criminality. As Butler argues, “Gender is performative in the sense that it constitutes as an effect that very subject it appears to express” (“Imitation and Gender Subordination,” 1991: 24). This means that in considering racialized gender performativity these marginally located black masculine and feminine subjects are “made real” through their constant discursive repetition, especially by the subjects themselves. The cases of both Brown and Shaw serve as extreme examples of those compulsive reiterations involved in the process of “black girling” and “black boying.” One of the immediate results of these two instances is that black womanhood gets understood as almost epiphenomenal to black masculinity. The vulnerability of black women, along with their very subjecthood, gets erased by the predominance of a black male subjecthood that, itself, faces its own disposability in relation to a hegemonic white manhood. In this way, we can understand the “beat me” tweets of Brown’s fans, the insultingly unconvincing “apology” of XXL editor-in-chief, Vanessa Satten, and the behaviors of Brown and Shaw themselves as part of a complex discursive matrix that constitutively produces a “no-fault” public sphere and fortifies the lack of value of both black womanhood and black manhood. In the wake of these recent instances scholars and critics have reinvigorated various long held discussions around the twin crises of black manhood and black womanhood in the United States, both of which are crucial considerations whose urgency needs to be sustained. At the same time, I think it is also important to consider the crisis of an American consumer culture that only seems able to engage society on the level of commodity without consequence. In this crisis American consumer citizens can be confronted with Chris Brown’s brutality and see it as separate from the talented pop star. They can be convinced that there really does exist a distinct “$hort mode” that is different from Todd Shaw, a man who would supposedly never advocate the violation of young girls. I call this the “disposable conscience of consumer America.” It relies on a fluid, trendy “performance of outrage” that can be taken on and off depending on if a celebrity who has committed a social sin or an actual crime subsequently puts out a catchy hit or puts out a good movie or is having a good season. This disposable conscience has the effect that as a society we are apparently only invested in celebrity mea culpa and redemption in so far as they affect our ability to consume. With Brown and Shaw, the society at large is less concerned about the continuing devaluation of black girls and women enacted by these two predators than with their opportunity to buy their albums and dance to the music. And the beat goes on…literally. Lisa Guerrero is Associate Professor of Comparative Ethnic Studies at Washington State University Pullman, editor of Teaching Race in the 21st Century: College Professors Talk About Their Fears, Risks, and Rewards(Palgrave Macmillan, 2009) and co-author of African Americans in Television, co-authored with David J. Leonard. (Praeger Publishing, 2009).